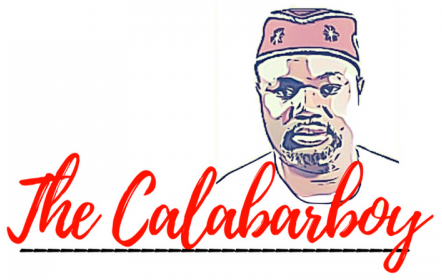 UNDERSTANDING: THE KEY TO MANAGING DIVERSITY | Thoughts of a Calabarboy. UNDERSTANDING: THE KEY TO MANAGING DIVERSITY – Thoughts of a Calabarboy. Taking a class in diversity management has helped clear my afore ignorance on the subject matter. There is no feeling as soothing as knowing what you never used to know, and seeing that what you now know will help you know what you are yet to know. I always saw issues of diversity as bordering on race and ethnicity, concerns for which the world is greatly suffering because it still is awed by the complexities of the multiplicity of mankind (ha ha ha….crack that). Also another error of thought was that diversity was a discussion whose endpoint is oneness and also a mechanism through which equality of outcome is guaranteed. Far from that. The discourse of diversity seems to have slipped through the hands of those that will constrict its meaning and append narrow definitions to a concept that in itself defies a single explanation. 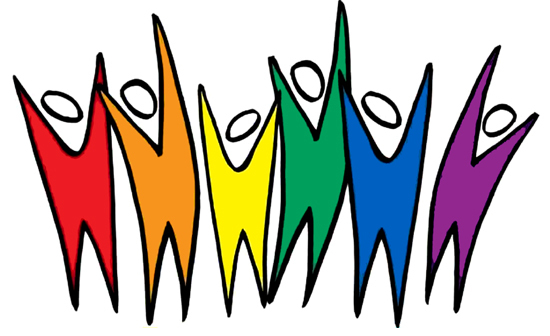 Diversity is as diverse at it sounds and it seeks to divert our attention to something a bit more colourful than the usual straight-jacketed issues of race and ethnicity and the preaching of equality by the year 20??. I am not writing paper. I felt the urgent need to state this, because I am already preset by default in that mode as a student and I sense that what I have written above is almost passing for an assignment paper on the diversity topic. But what I am trying to communicate here is some of my meditation on how beautiful diversity becomes when we understand it for it’s true meaning. In fact, the understanding and ability to manage diversity becomes the most powerful tool anyone can posses in the century we are living in. There is not one thing that is the same, yea not even a xerox copy. I thought to myself how I would feel if I couldn’t uniquely identify anything, if everyone were the same, if situations were all similar, and Life going through a wicked cycle of repetitions? ‘Boring’ falls heavily short of describing how the world will be. But thankfully, we have diversity injected into every facet of life not to separate us, but make us interdependent and harmonize our living. In my meditations about the matter, I wondered what music would be formed if there existed only one note. What artistic works would be done if there existed one colour? What great speeches would be made if there existed one sound pitch? What great dramatic performances could be made if there was only one character? What great love can be shown if there existed one person? Therefore the world becomes melodious, artistic, colourful, dramatic, and loving when diversity is appreciated and understood. Diversity is rooted in the beauty of difference and the managing of the same. Those who live a fulfilled life are those who can recognize the beauty in the difference all around them and harness each part to make a whole new life. This is what I am coming to learn. People are different and will never all be the same. Skin colours are different, speeches are different, languages are different, philosophies and values are different, clothing is different, writing is different, there are differences in food, abilities are different, and capacities are different. Are all this to regroup us and create iron boundaries between us? No!!! Rather, they are the several strokes of a masters hand, as he hits the canvass creatively to reveal a beautiful big picture. No great picture is mono-coloured, it is the sweet apportionment of a little here and a little there, that unravels something that all eyes love to behold. Everyone and everything around us plays an active role in forming a greater union that benefits all. This I now see to be diversity. It seeks not to make everything or everyone the same, but it seeks to confirm our difference and help us love it and live with it. Therefore how can I sheath my evil sword of separation and take on the plowshares of cultivating acceptance. It is by a virtue called Understanding. Understanding is standing under to…(fill in the blanks). Standing under seems to say something about support. Understanding seeks always to support what is not like you so it can be good for you. Understanding also sounds like ‘another’s standing’. Which again means that understanding will always bring you to where you stand in the place of another to feel what they feel, see what they see, hear what they hear, and understand what they understand. Understanding also sounds to me like the opposite of ‘over-standing’, because while the latter tries to overrate and overstate ones self, the former tries to downplay ones position to bring out the best in the other. Believe me, understanding is the most effective tool in managing diversity. So if you ever find yourself in a position of fainting because of the differences you see all around, remember these exist to enhance your life and not to cut it short. Then take on the virtue of understanding, as it is the prism through which the varieties of life will shine through to you, and you will see the awesome beauty and embellishments your living will be decorated with. Trust me, I tried it and guess what? IT WORKS!!!!!!!!! I can tell that this is not the first time at all that you mention the topic. Why have you decided to write about it again?